Are there any guys reading this? Anyone want to get engaged on Valentines Day? Spread the word! Well if you live in DC/VA/PA/MD have I got the place for you!! 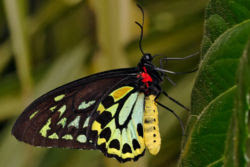 The National Museum of Natural History is opening a live butterfly exhibit and they are creating a once in a lifetime opportunity for a couple to get engaged on site amongst the butterfly's before it opens to the public. Feel the Flutter on Valentines Day 2008. All they want is to be able to capture it on film to send out to the media to raise awareness about the exhibit! How great is that. So if you are interested or know a lucky couple who might be let me know and I will send you the contact info.